Win Up to $50 This Week at Augustino Brewing Co.
We’re running a very exciting promotion currently (2/9/18 – 2/18/18). Download the Augustino Brewing Co App on either iOS or Android. Open the app & close it… then reopen it to be certain you have the latest “push updates” installed. 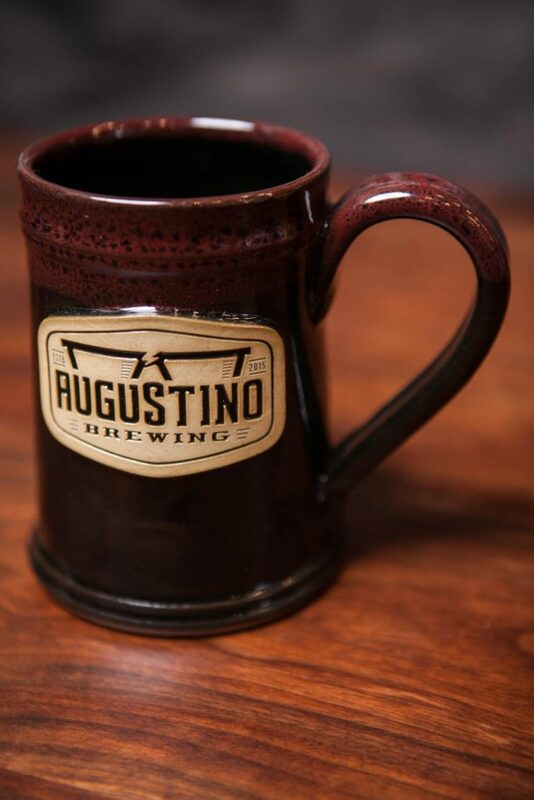 Visit Augustino Brewing and sign up for any of the Ultimate Mug Club memberships with your server or bartender. As long as you remain an active member of the Ultimate Mug Club, you’ll drink from our 20oz mugs, instead of the standard 16oz pub glasses, even when not redeeming the beers included with your membership. It’s important to hurry though as memberships under this promotion are VERY limited. Already an Ultimate Mug Club member? You can get in the action as well by upgrading your membership! Just let your server know the next time you visit that you’d like to upgrade.